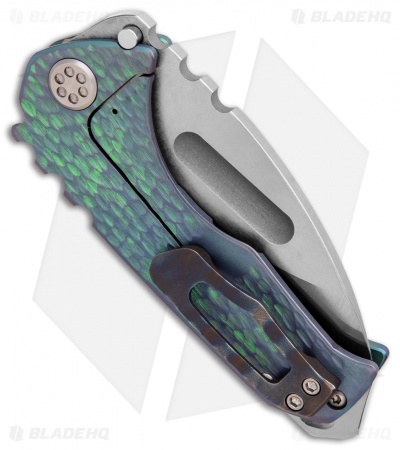 The Medford Praetorian Genesis is a more pocket friendly version of the full-size model, and was the original intended size for the Praetorian design. This custom version has a tumbled CPM-S35VN stainless steel blade with no-bull spine texture and a wide thumb groove opener. 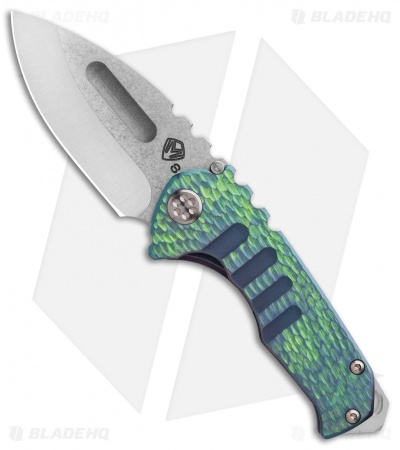 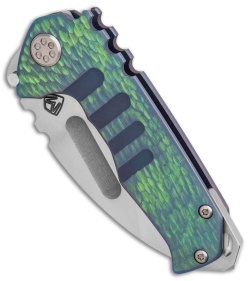 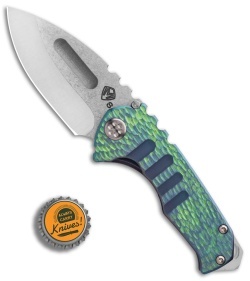 The handle is made from two slabs of green/blue anodized titanium with a sculpted texture. The Praetorian Genesis has a tip-up carry pocket clip and beefy glass breaker tip. Comes in a waterproof case.